Wed., Aug. 3, 2016, 9:12 p.m.
CHARLOTTE, N.C. – Tony Stewart is hoping that going old school will change his luck at Darlington Raceway for his final Southern 500. 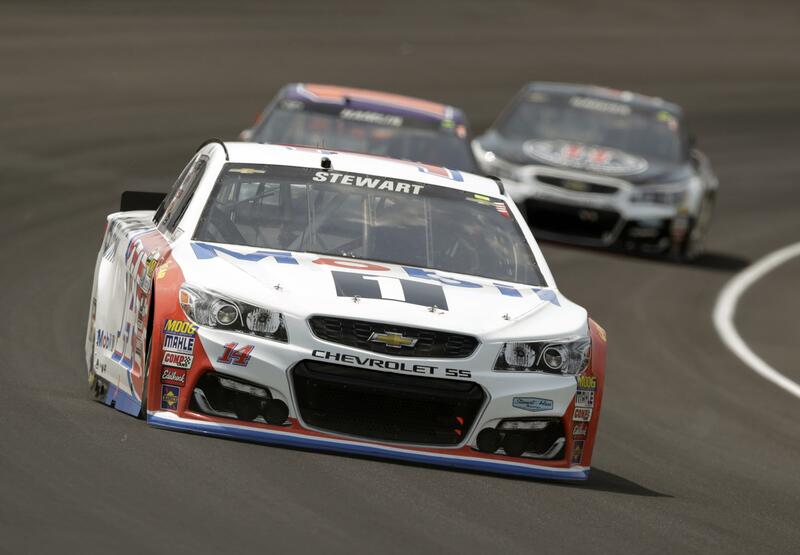 Stewart announced Wednesday that his No. 14 Coca-Cola Chevrolet will feature a paint scheme that replicates one on the car Bobby Allison drove to wins at the 1971 and 1972 Southern 500s. Stewart is a three-time NASCAR champion who has won 49 races, but none at Darlington. It is one of only two venues where Stewart is winless in NASCAR’s top division. He is hoping that replicating Allison’s paint scheme changes all of that. His best finish at Darlington is third place. Stewart’s throwback look will feature the old Coca-Cola tagline of that era “The Real Thing” emblazoned on the car, along with gold wheels and cubic-inch displacement boast on the hood. Stewart said he loves the paint scheme. Stewart said during a press conference at the NASCAR Hall of Fame that he is proud and honored to drive a car that replicates Allison’s paint scheme. Stewart plans to retire following the season finale Nov. 20 at Homestead-Miami. Allison won back-to-back races at Darlington in 1971 and 1972, starting from the pole both times. He led 558 of the 734 laps available, including leading all but 38 laps in the 1971 Southern 500. He led a race-high 229 laps the following year in winning another one of his five top series races at Darlington. Allison called Stewart a “real racer” who would have fit right in with the drivers that ran during his era. He said watching Stewart drive will bring back some fond memories. “I know what car I’ll be watching in the Southern 500,” Allison said. Published: Aug. 3, 2016, 9:12 p.m.